Restaurant Week was last week, guys. As I have stated before, I love Restuarant Week. Although the prices are a little north of what I usually post, since its still a steal (apps, entrees, and dessert at these places is definitely more than $38 a person) I think it still applies as frugal. 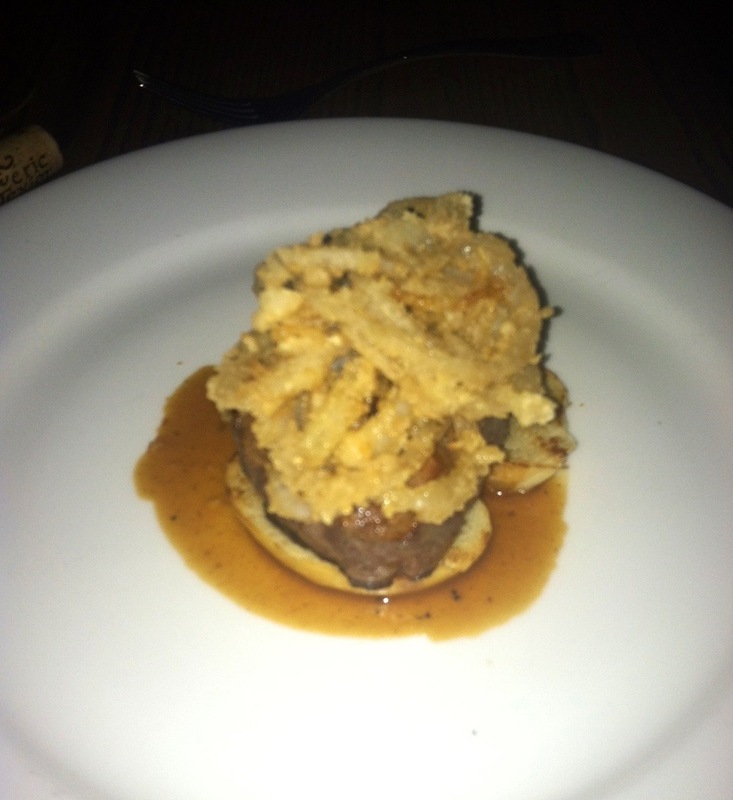 This year, there were options in price for restaurant week, but I still decided to try the most expensive (my wallet is a sadist, what can I say). 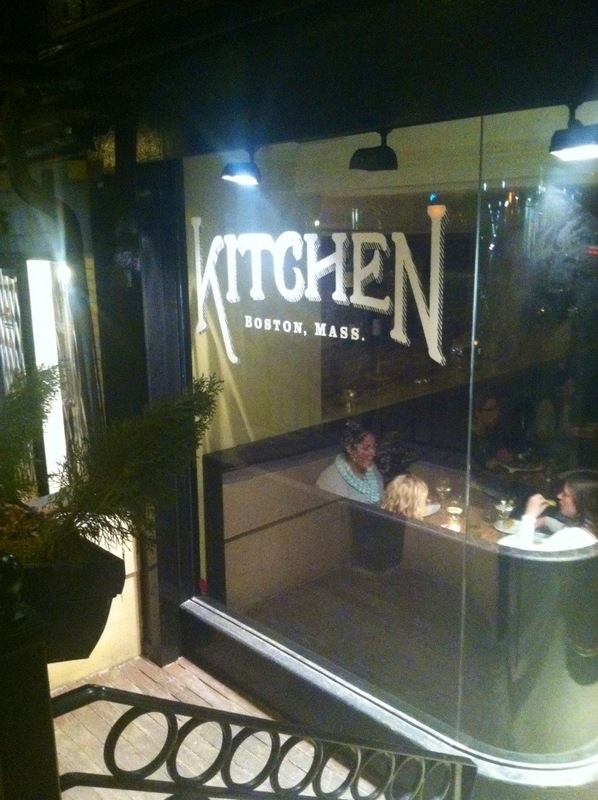 This time, The Russian and I decided to try Kitchen in the South End. I was super excited before we even walked in the door, because they had pretty much a full menu offering this year, as opposed to just a few options. I also love that Kitchen models it’s dishes on classic recipes, and even dates each dish to its inception on the menu. As someone who is fascinated with food, how dishes are created, and now timeless classics can be enjoyed by our grandparents and grandchildren, this was a perfect choice for a bit of history with my dinner. The space is small, but super cozy. You’ll have to excuse my photos, which aren’t the best this time around. I didn’t want to disturb other diners by taking a million photos. You’ll get the idea. 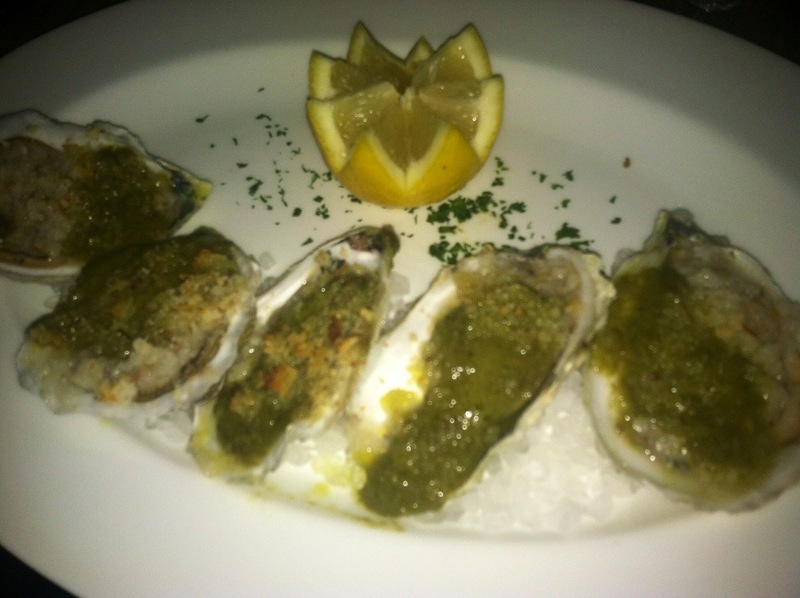 I started off with the oysters Rockefeller, a classic dish. The oysters were huge and juicy, and the spinach mixture on top was creamy and rich, a nice counterpoint to the salty oyster. The Russian started with scallops wrapped in bacon (he can never resist bacon, but who among us really can) with grits. 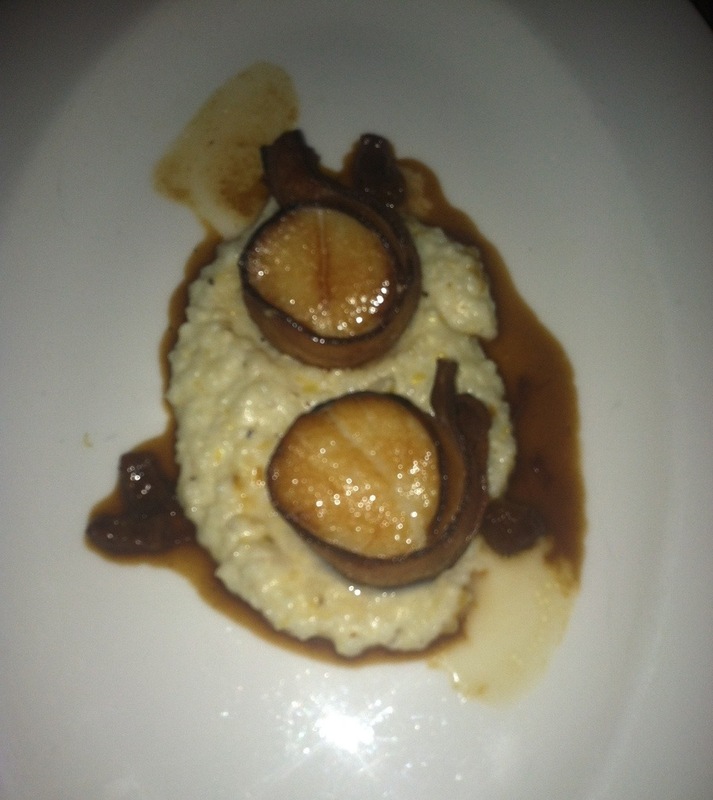 The scallops were cooked to perfection, although he thought the grits could use a touch if salt. A minor problem, if it can even be called that. The bacon was perfectly crisp as well. Then I moved on to the crispy half duck. This dish sold me on Kitchen. 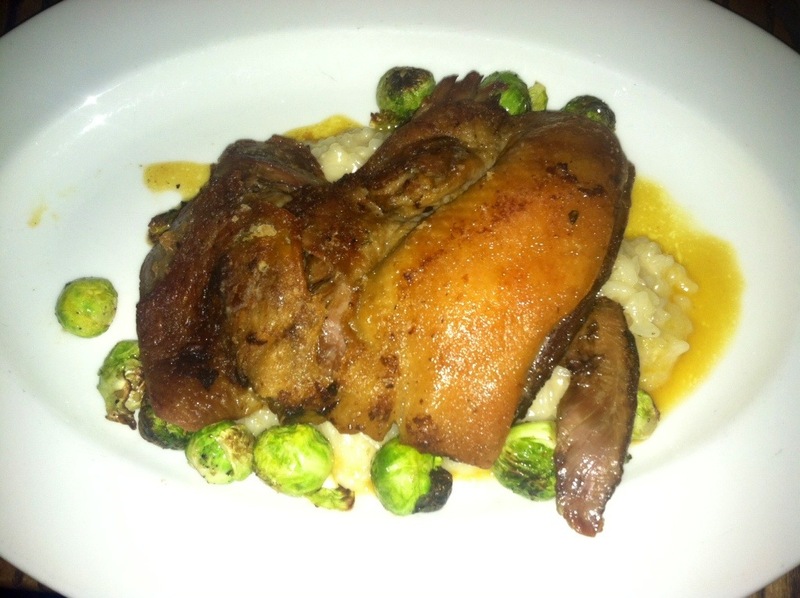 The duck was truly incredible, the fat was perfectly rendered, and the skin was crisp. It was also huge, so I felt like I needed to be rolled home after I finished the dish (The Russian helped of course). The risotto was some of the best I’ve ever had. I’m still thinking about it. Sometimes I’ll just stop for a moment and daydream about that dish. The Russian chose beef as his entree and wasn’t disappointed either. His sirloin steak was cooked perfectly and paired with luxurious ingredients, like a piece of seared foie and black truffles. It was decedent. We somehow managed dessert. I tried the donuts, which were good but by that point I was pretty done for the night (a bottle of wine and half a duck will do that to the best of us). 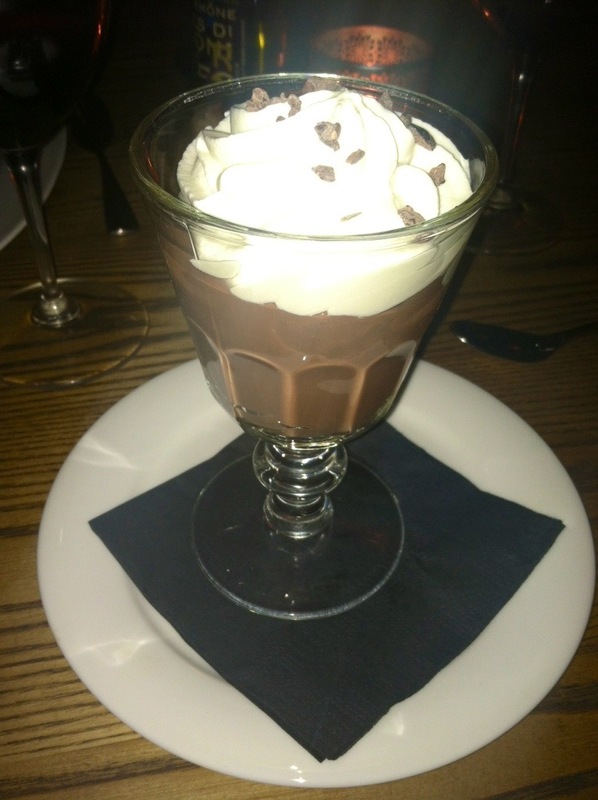 The Russian, who is a bottomless pit, had some chocolate pudding. 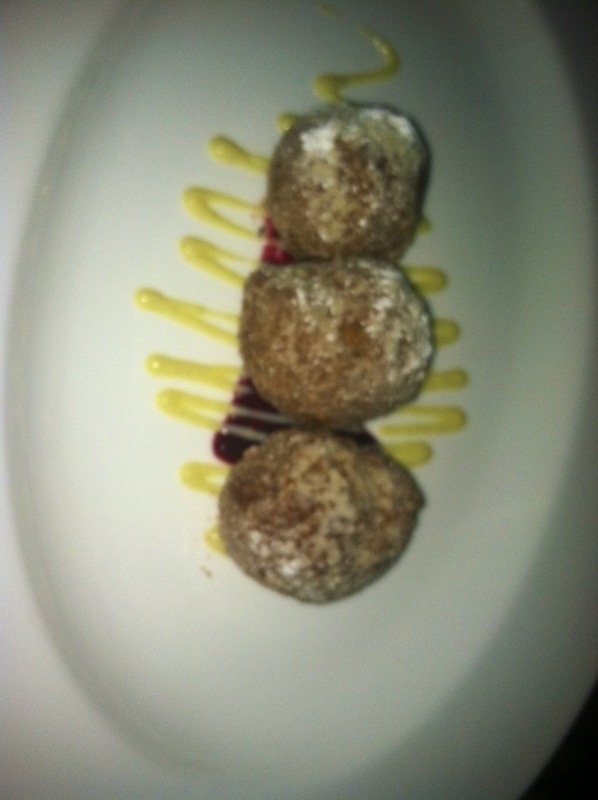 It was creamy and decedent and somehow light. Not sure how they managed that (witchcraft?). A really nice end to a fantastic meal. I was so happy to have discovered Kitchen. You can tell when food is made with love, and love was just bursting out of the dishes. Hopefully they will make another appearance for summer’s resto week, so that they can be enjoyed again by those who couldn’t necessarily afford them normally.